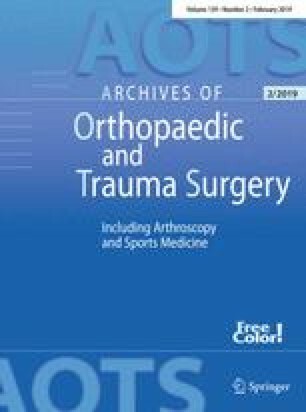 Systemic effects of Co-Cr alloy/polyethylene hip joint prostheses were investigated using instrumental neutron activation to determine the concentrations of up to 16 elements. First, in a prospective study whole blood and serum taken from 10 patients from 1 day before to 90 days after implantation were analyzed. Secondly, in a retrospective study whole blood and serum from 23 patients who had had prostheses in place for up to 18 years were analyzed. For comparison, normal trace element levels in humans were determined by analyzing whole blood and serum from 21 patients. Finally, various tissues and organs from two deceased implant patients were analyzed and compared with normal concentrations obtained from the analysis of five “normal” patients without implants. In agreement with other recent investigations, our analyses of normal serum, whole blood, tissues, and organs show that most previously defined “normal” trace element concentrations were too high, chiefly owing to contamination and insufficient blanks. A detailed discussion shows that for many elements the ranges of normal concentrations have to be revised. This conclusion is of particular importance with respect to the sometimes conflicting earlier reports of systemic effects of metal prostheses. In the work reported here, both the prospective and the retrospective investigations of serum and whole blood showed massive Co enrichments as a consequence of implant corrosion. The data show a wide range of individual burdening, ranging from practically no effect to the most extreme values. The analyses of tissues from the vicinity of the implants in the two deceased implant patients showed strong local effects of Co, Cr, Zr, and Hf, the latter two elements originating from the X-ray contrast media in the bone cement. The analyses of organs revealed significant Co and Cr enrichment in several tissues and organs. Consequently, it can be seen that implant corrosion is not an occurrence of merely local significance, but one that affects the trace element status of the entire organism.